This one was a blast to do, hope you enjoy it! I very much appreciate your work as usual. Isn’t the autism assumption a bit too much, though? For sure, she has problems connecting. Obviously, she has her obsessions, and is not very empathic. But, at the same time, she is only 5 years old. Kids are often like this; sometimes to a much higher degree (speaking problems, for example). And somehow I doubt she received the best kind of upbringing, be it from her parents, or giants. She doesn’t has autism, she is just an spoiled brat that never in her life had any discipline input on her, and with obvious reasons she is destroying towns at age 5, but once Mother Caramel explains to her that not everyone has to come with only 2 joints on their limbs, or without extra appendices she stops, a person with autism would have keep trying. She does has a medical condition, but it is something else, something new and unique because she has no recollection of any of her actions that occur while she is unconscious on her rampages, and since no one is willing to tell her what happened then she ends even more oblivious to all of it. 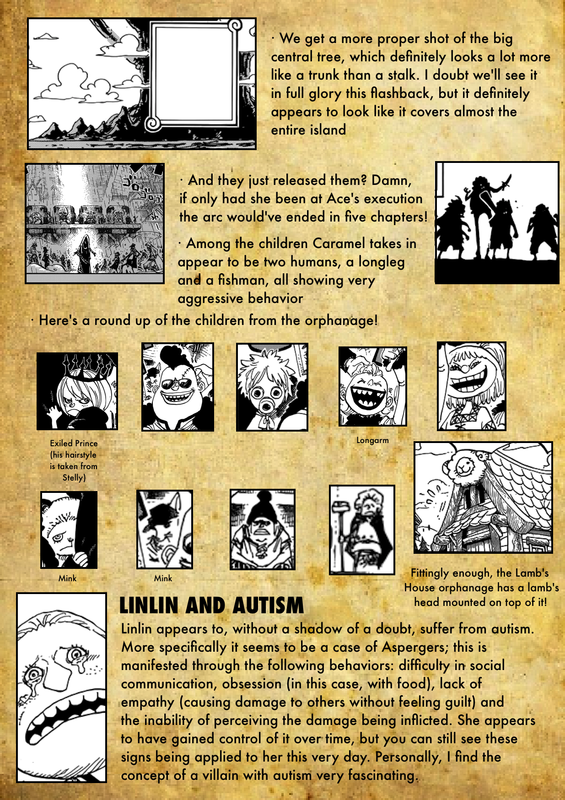 When you look at the picture of p.7 of Chapter 860, you can see that the guests of the wedding are the grown ups from the orphanage. Umit is the prince with the crown – he has the same freckles on the cheek. interesting. i agree with du feld. and giberson is the one that you think it is umit. 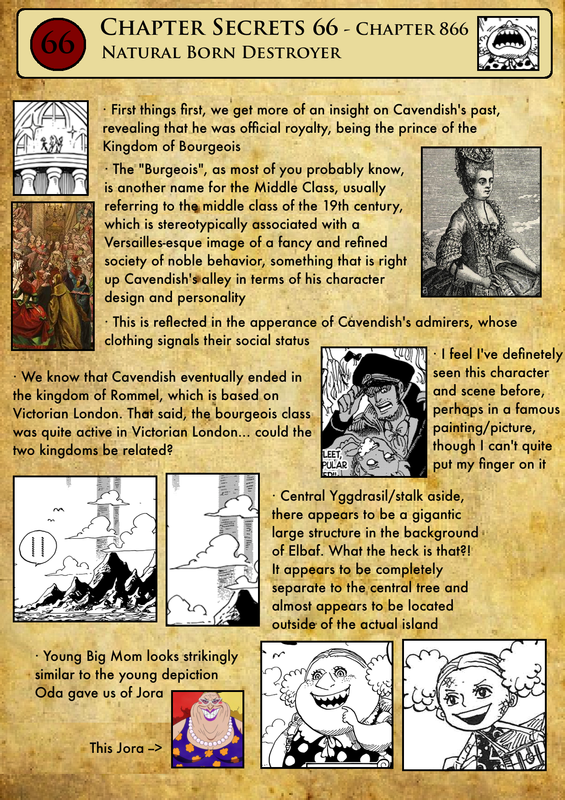 based on his nose and crown. I’m trying to think of a good film that was ever helped by a remake. Remakes of good films always come out unremarkable and dinoupaintisg–bpt remakes of bad or unremarkable films occasionally become classics.Maybe The Fly? It’s been so long since I saw the original 1960s version that I don’t recall if it’s campy or genuinely good. The 1980s Cronenberg version is brilliant, though. Is it just me or does Linlin’s dad look similar to Capone? Not implying that they’re related, its just funny how they look a like. judging from the helmet, the one that hanging out with gerth and linlin could be hajrudin i think. not eiri. 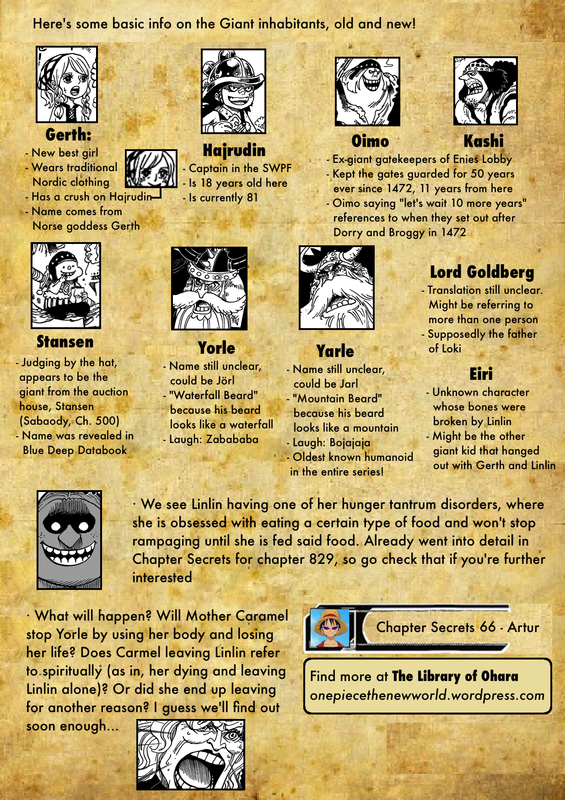 Hey Artur, I believe I have found Franky’s grandma in this chapter, page 14/20, left column, 3rd panels down. Look at how she used that one specific word in that specific style, does that remind you of anyone. 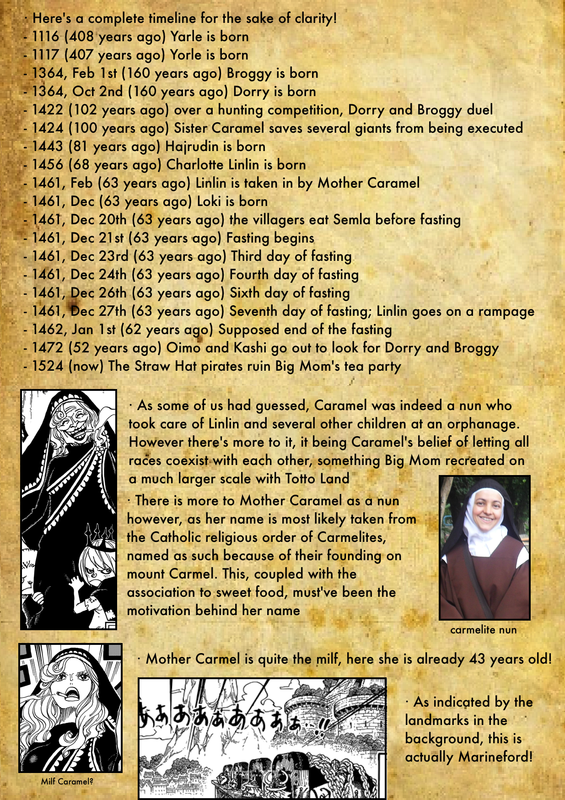 Remember this flashbacks was 63 years ago in the past, forget Franky, his parents wasn’t even born yet. 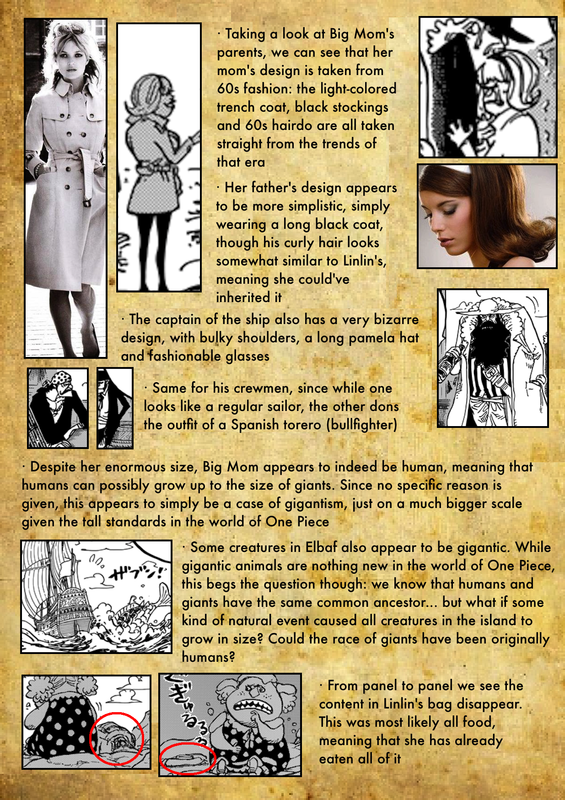 Franky could be 1/8th or 1/16th giant. 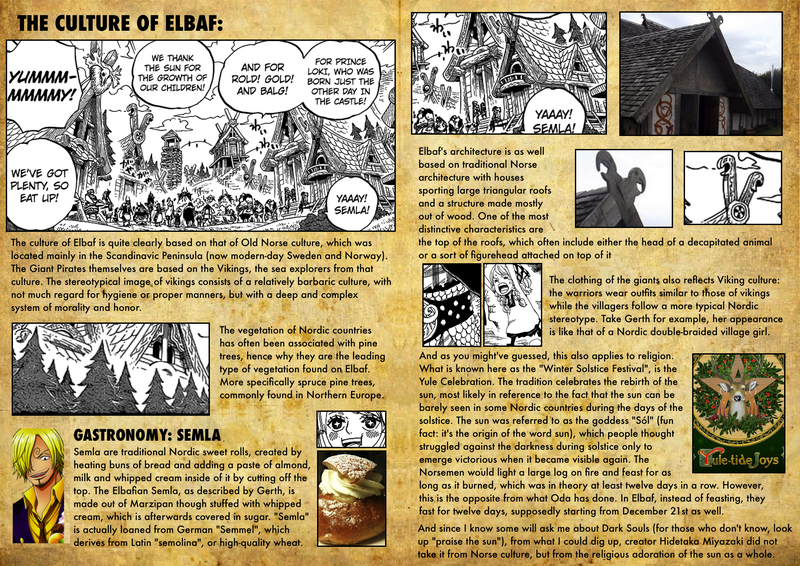 Oda-san doesn’t throw random word around like that, every word have a meaning behind them.